Happy “Ice Cream Sundae” Friday! Cutie custom flag for Mia’s 3rd birthday! Dive on in! The ice cream’s fine! 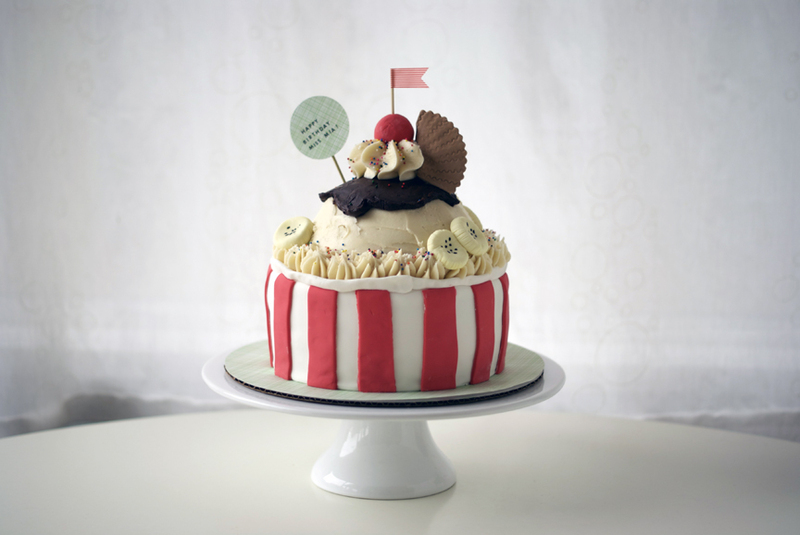 ICE CREAM SUNDAE cake! 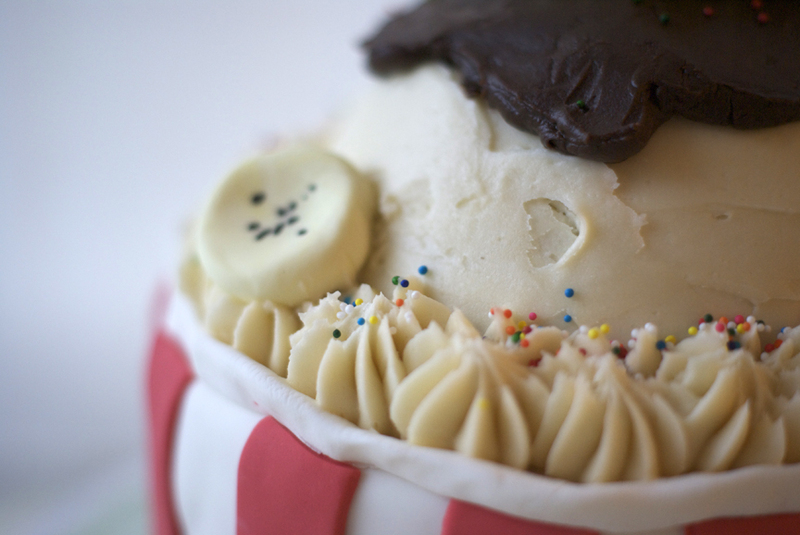 Even my own cake-making eyes were tricked by the scoop of vanilla “ice cream” peeking out of this red and white striped ice cream cup. I just loved doing this order – it was lots of fun and I was chuckling the whole time. 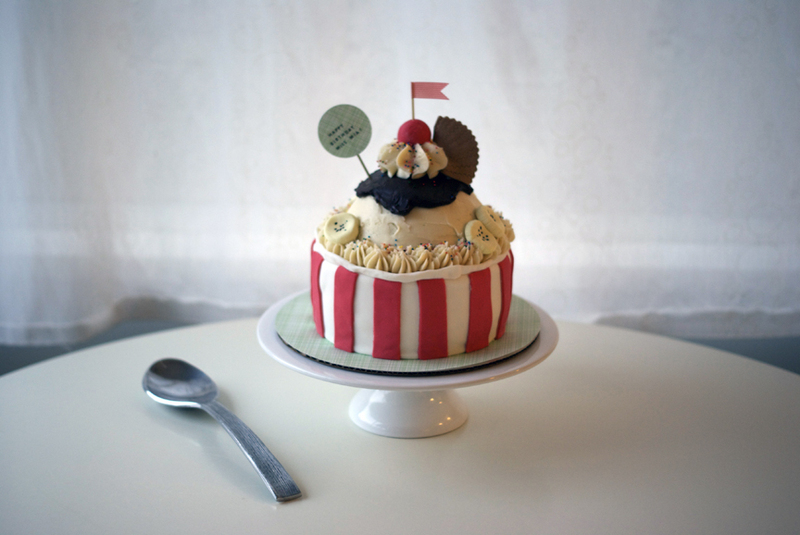 Leila really wanted an ice-cream themed cake for her daughter Mia’s 3rd birthday – I was thinking of using my round sphere cake pans to make ice cream balls so did a little research and came across this wonderful inspiration! The cake was dark chocolate with vanilla buttercream with chocolate ganache. The decor is vanilla buttercream, more ganache for the chocolate syrup and fondant bananas and fondant ruffly wafer cookie! 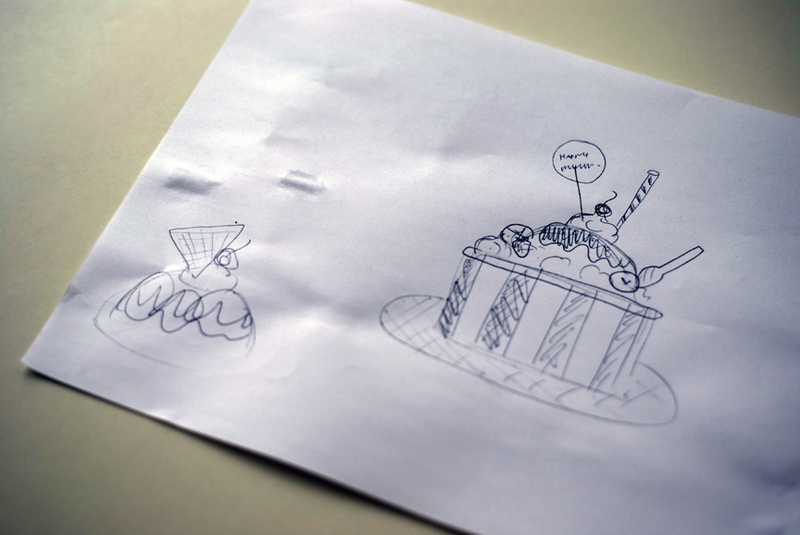 This is what cake-making is all about to me. 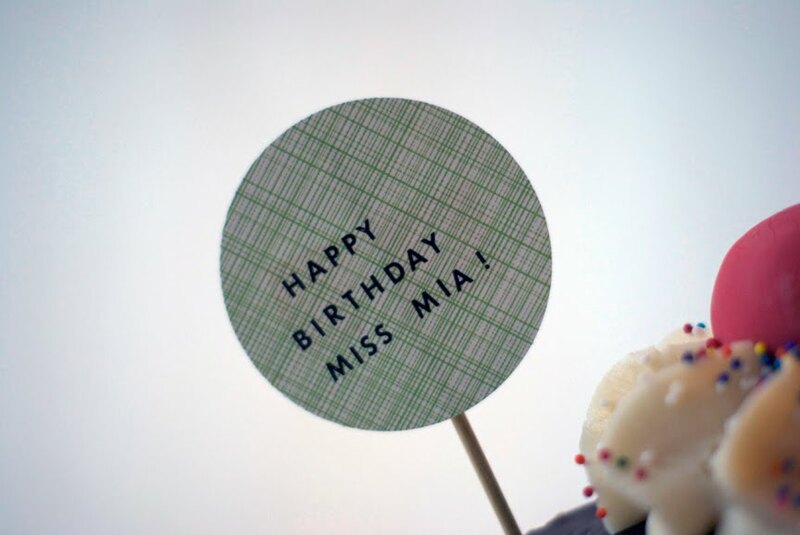 Thanks so much Leila for the fun order and happy happy birthday little Mia! That’s so cute!!! I want to try it now! That is pretty crazy cute Lyndsay!!!! Wow!! To be so talented, that is just amazing. 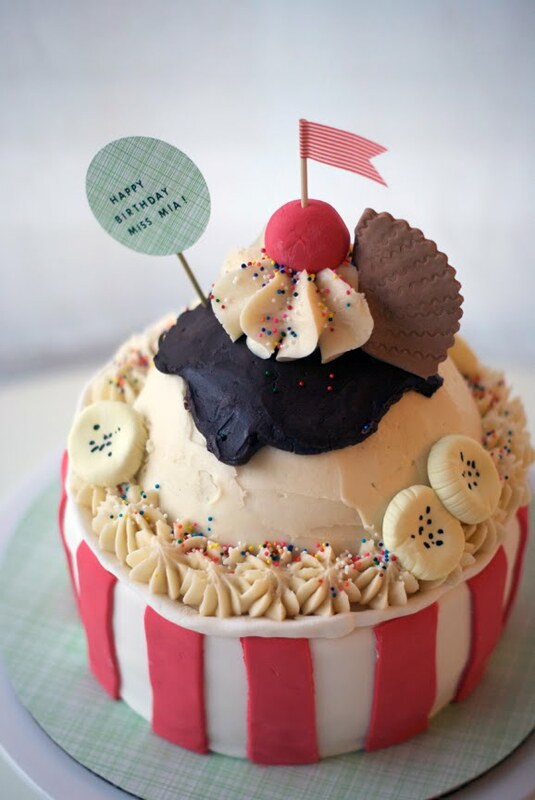 Thank you for sharing your love for making cakes with us all. I think the cakes are beautiful and I am sure they taste delicious. 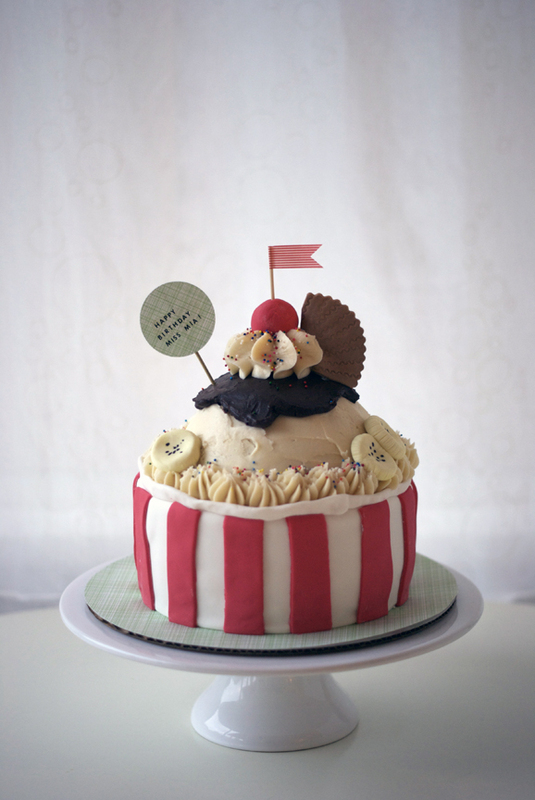 Showing creativity through baking is inspiring and I want to encourage you to continue.